Welcome! 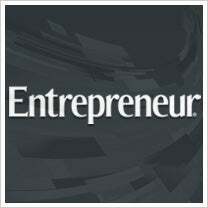 We're excited to bring you the refreshed Entrepreneur.com. We have a cleaner look and streamlined design, but our mission remains the same: to help entrepreneurs. We're excited about our new format, and we hope you are, too. Please tell us what you think and share your comments below -- or on our Facebook page, or via Twitter with the hashtag #EntRefresh. Or you can reach me on Twitter @lauralorber or email me at llorber@entrepreneur.com.